High Volume painting applications + 4 litres per hour. Custom Sizes and layouts to suit your facilities needs. Drying Rooms Suitable for all curing requirements. Applications include: Polyester Spray Painting, 2 Pac’s, Urethanes, stains, lacquers, Varnishes and Many more. What are the options in this range? 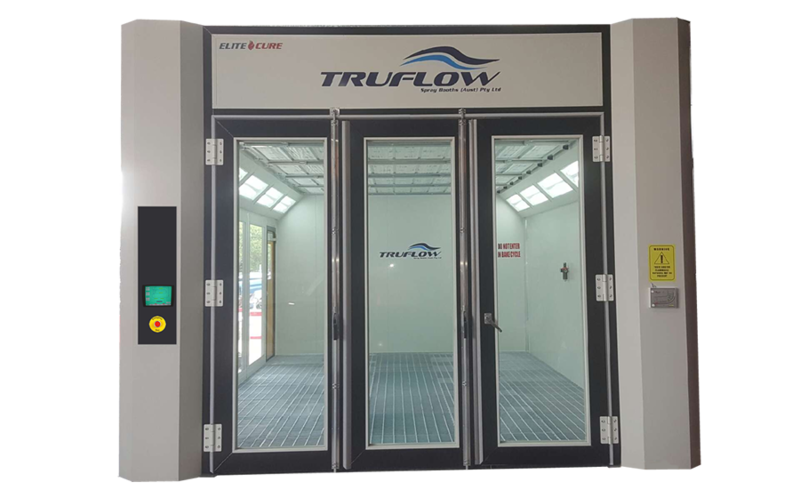 There is a wide range of spray booths that TRUFLOW offer which suit kitchen cabinet makers, glass splashbacks and the woodworking industry. 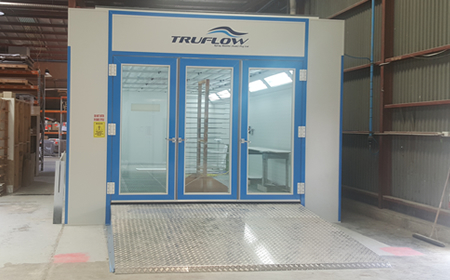 We offer spray booths that utilise either dry filtration for production batch systems or water wash spray booths that offer higher volume filtration suitable for complete conveyorised lines. 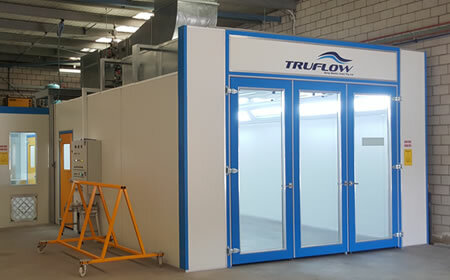 All spray booths are tailored to suit the specific painting requirement for the facility; filtration is selected based on paint volumes and environmental considerations for paint finish quality. 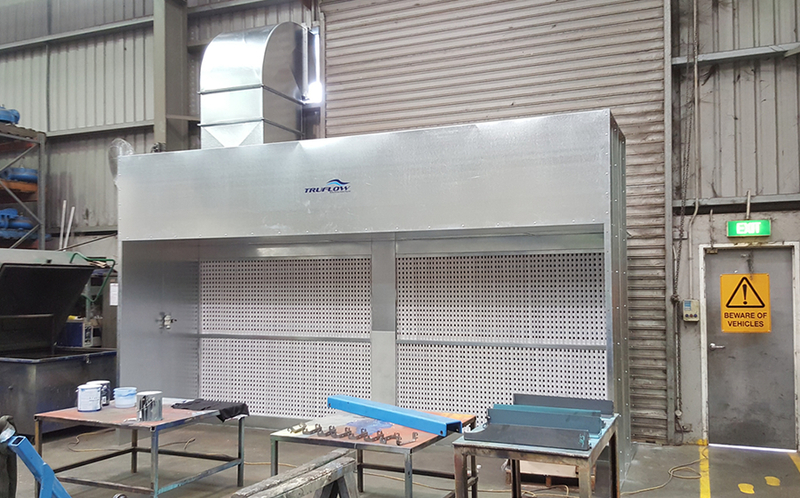 The Kitchen Cabinet Maker Range includes Semi Downdraft Spray Booths, Full Downdraft Spray Booths, Open Faced Dry Filter Booths and Water Wall Systems. If it is a drying room you are after we can also assist with providing you with a simple & energy efficient solution that will accelerate your drying time. In order for our team to accurately identify your needs please call us on 1300 BOOTHS or send us an email from the field below so we can provide a suggestion and a quote. WHAT ARE THE MODELS IN THIS RANGE? 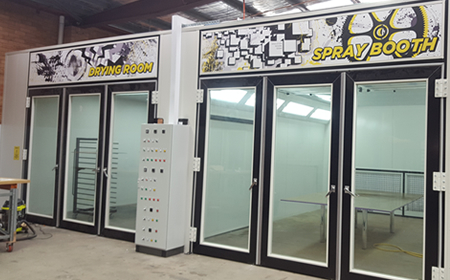 Drying rooms can be attached to your spray booth via a sliding door or be totally independent. They provide a clean, temperature controlled environment for you to achieve the perfect cure. With a level floor you can Trolley your products strait into the booth. No ramps, simply push in the product & spray in a clean heated booth. Look at this model range. Undercoating, priming and preparation as well as some varnishes and top coats for furniture polishers are done within the undercoat / priming booths / Varnishing booths. This booth has entry ramps or is installed into a pit in the floor. Great for large glass splashbacks and higher volume painting.